WOW Air is once again offering dirt cheap trips to Iceland with $99 one-way flights. 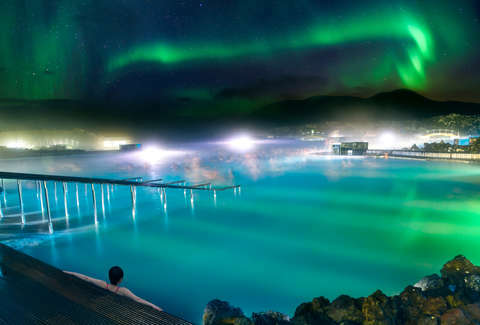 But that's not the only airline with great deals on flights to Reykjavik right now. WOW's $99 one-way flights to Iceland are flying out of Cincinnati, Cleveland, Dallas, Los Angeles, Pittsburgh, San Francisco, and St. Louis. Often the return flights are a little more expensive, but you can still find $99 return flights, which makes a round-trip ticket just $199.98. The sale window on those flights varies, but most cities have cheap trips starting in October and running out as far as January 2019. Meanwhile, as highlighted by Scott's Cheap Flights, there are good deals through Delta as well. The travel window on the below fares varies by city, but most are appearing between November 2018 and March 2019, with the exception of flights right around Thanksgiving and Christmas. The best avenue to track down these flights is Google Flights, which gives a nice calendar view to help locate the cheapest travel windows. Scott's Cheap Flights highlighted a bunch of cities with fares between $240 and $364 round-trip through Delta. That includes Atlanta ($385), Baltimore ($254), Boston ($254), Charleston ($339), Chicago ($254), Dallas ($358), Denver ($329), Detroit ($364), Houston ($344), Minneapolis ($362), New York ($240), Orlando ($349), Pittsburgh ($254), San Francisco ($286), San Jose ($288), Seattle ($364), Tampa ($364), and Washington D.C. ($254). It's worth noting here that these tickets are likely to sell quickly. If you want the lowest prices, your best bet is to get on it. The most alluring prices tend not to last. Those Delta flights are basic economy tickets and WOW is a budget airline, so in both instances, you should look into what luggage and seat selection will cost you. You could be on your way to exploring the Ring Road or soaking in the Blue Lagoon, but do your homework to make sure you won't be shocked by the fees because you tend to pack your entire bedroom into six rollaboards.